Eating cupcakes can be fun but making cupcake crafts is even better. The best part of it all is that these cupcakes are zero calories. I can use some of these great craft ideas myself. They are perfect for any occasion whether it is a baby shower, birthday party or you name it. Have you ever wondered how to make a delicious cupcake soap? Well, this 31 Cupcake Inspired Creations ebook gives you the inside on how to make one yourself. All you need is a few products and loads of imagination. Next thing you know, your friends will be asking how much money you spent on this beautiful soap. And you’ll know, not much at all. If you love jewelry like I do, then you’ll love some of these great cupcake jewelry ideas. Make a few friendship bracelets for your loved ones and friends. Or simply make a birthday necklace for fun. The choice is all yours. Let your imagination run wild. These are just a few examples of what this wonderful ebook includes. We have put together for you some of the best designers and their cupcake creations! 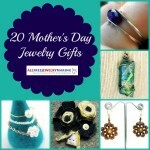 You’ll find jewelry, home decor, kid’s fun, and great keepsakes. And much more! You will discover your inner artist ready to create and share his/her creations with everyone. Some interesting projects that you can work on in this ebook are the Ribbon Cupcakes, which make a great centerpiece, the Cupcakes Quilt, which is so fun, and the Dressed Up Cup Cakes – a great holiday gift! Now that you have a small idea of what this free ebook offers go ahead and download it so that you can begin your creative adventure. It is so much fun and full of new ideas. Try it now! Unique gifts don’t always have to be odd or especially ornate. A handmade craft can be unique based on its origin of inspiration – like foreign countries and cultures. Take your friend or loved on a trip to Europe with bistro-inspired decor, or make a card that shows off the beauty of Asian gardens. These thoughtful gifts are second to none. Millefiori Dangling – In Italian, millefiori means a thousand flowers. Bistro Window Sign – Give your home a French connection with this cafe-inspired sign. 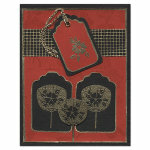 Thanks A Bunch Card – Using colors that arouse the island feeling, this card is perfect. Cherry Blossoms Card – Springtime is blooming season for cherry blossoms in Japan. Spice Girls of the Old World – A fun way to remember the Old World and cook with yummy spices. 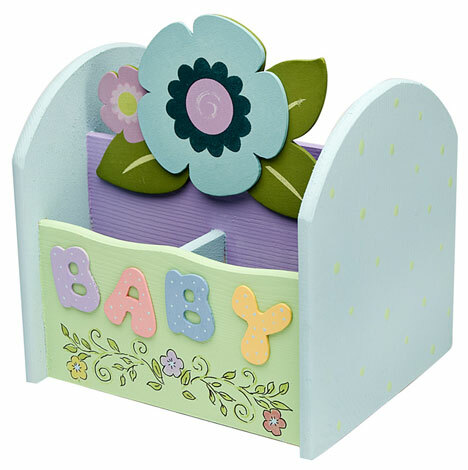 For more unique gift ideas, check out the Seasonal section at FaveCrafts. If you like these projects, check out more Unexpected Ideas. If you want to make that special someone a unique gift, think of adding a bit of whimsy to your decor ideas. Gift-givers often want to find something that really reminds them of their loved one, but also stands out from the standard gift ideas. 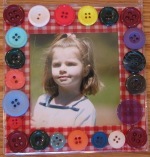 One of the best ways to achieve something truly unique is to add a that whimsical touch to something like a picture frame or wall piece. Your girl friend, niece or mother won’t be likely to find such a unique item on their own. I don’t know about all of you, but I know a ton of pregnant women! So many babies coming in 2010! That said, I’ll be attending several baby showers this year… and likely hosting a couple… so I’ve been looking at different ways to prepare for the upcoming showers, without being too redundant. 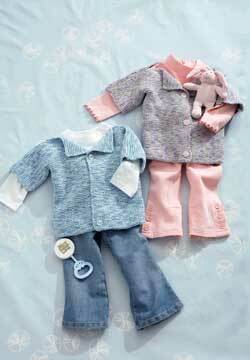 Pink and Blue are pretty standard staples, but there are plenty of fun ways to play with other details to keep each baby shower unique and equally precious. Is your husband hard to craft for? I’m sure that’s a common tale among crafters. The men in our lives are rather indifferent to all the hard work that goes into a well-crafted sweater, decoration or knick knack! Perhaps the most important thing is not whether they notice that you’ve made it, but whether they’ll actually like the item you’ve made. Sometimes getting them to agree to wear a beautiful sweater is half the battle. Here are a few manly crafts to make for your hubbies and boyfriends. Knit Cable Socks – Who can go wrong with a new pair of socks? Wood Button Clock – Something for the office, or his favorite room in the house. Crochet Body Warmer – A rustic-feeling crochet vest looks great on any man. 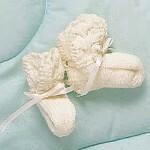 Cozy Cabin Slippers – Another great winter gift for the men in your lives. 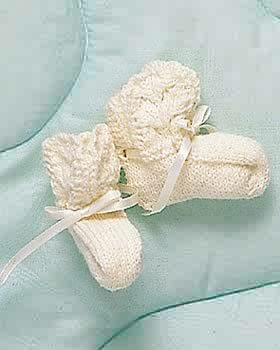 For more great homemade gift ideas for men, click here. You know the old saying “out with the old and in with the new.” Instead of purging your things and throwing them away, this New Year, make old things new again with crafting. Everyone is looking for a way to start fresh as we prepare to enter into a brand new year, 2010. 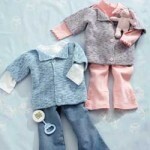 With your newly crafted “old stuff,” give a gift that’s eco-friendly and cute! 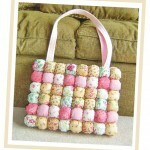 If you like these projects, check out more Green Crafting at FaveCrafts. If you love to crochet, now is the time to whip up some holiday crochet surprises for your loved ones before Christmas arrives. 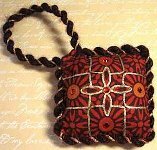 Small gifts for aunts, sister-in-laws or friends are often best when handmade. Even a little token can go a long way! Crochet Snowman Amigurumi – a cute little gift to give out in sets of 3, or individually. Holiday Crochet Hats – For those who love simple accessories like winter hats! Patterned Poncho – Elegant for a night out, yet warm. Your best friend will love it. Granny Square Dishcloth – If you’re handing out gifts in mass quantities, make a granny square dishcloth in a festive yarn and call it a day! 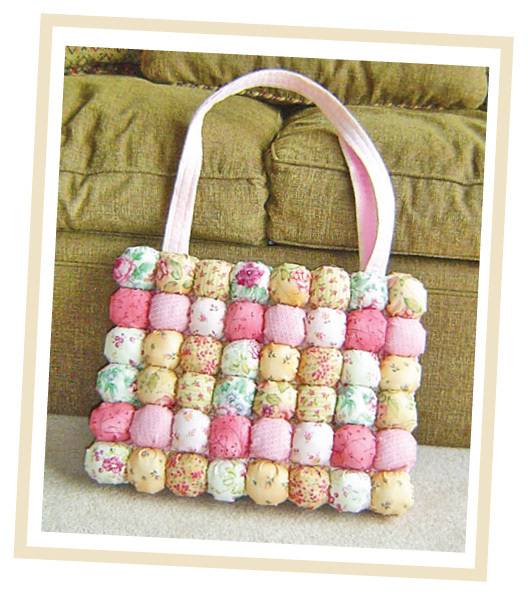 For more gift ideas for Christmas, check out the Quick & Easy Gifts section at FaveCrafts. If you’re a sewer or quilter, you may have extra fabric lying around that you don’t know what to do with. 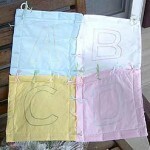 Fabric scraps can be reused to create items that you may not have otherwise made with the original fabric. 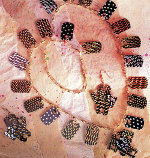 Festive fabric is a nice embellishment to many different projects that your friends will love. They won’t even know that you used leftovers to make them! 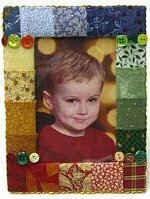 Fabric Frame – A nice way to use old fabric scraps that creates a quilted look. Spice Girls of the Old Country – Give a gift of lovely smelling dolls that go great in any kitchen. Art Nouveau Ornament – This ornament is chic and decorative, make several and hand them out at your Christmas party. If you like these ideas, click here for more sewing and quilting projects. Cupcakes are huge this year. Who doesn’t love a dainty little cake, iced and sprinkled to delectable perfection? Well, instead of indulging in thousands of holiday calories while baking for all your nearest and dearest – try the zero calorie option of crafting cutesy cupcakes for your friends. Cupcake Ornaments – Adorn the tree with these sweet treats. Seriously, so cute! 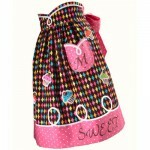 Delicious Cupcake Apron – For your homemaker friends who love a great apron to accompany them in the kitchen. 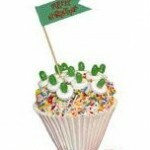 Cupcake Wrappers – If you do happen to make festive holiday cupcakes, wrap them in fun cupcake wrappers like these. 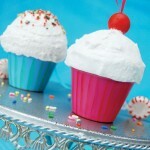 Fake Candy Cupcakes – These candy cupcakes can be decorated for every occasion and used for decor around the house. Create a fun Christmas scene and give them out to your friends. Click here for more holiday gift ideas.